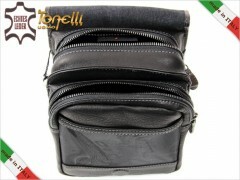 This Italian bag can be worn as a shoulder bag or waist bag. 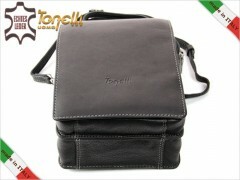 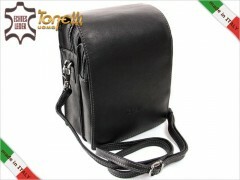 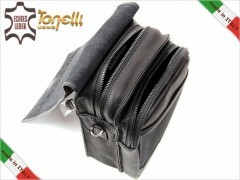 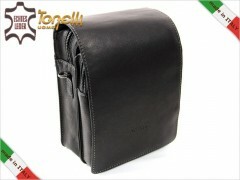 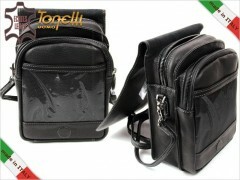 Model 2033 Vichy Black Tonelli Uomo made ​​of genuine leather. 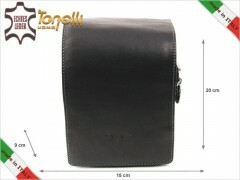 The leather has excellent build quality. 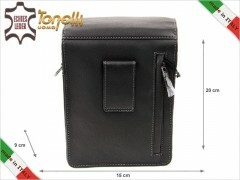 The bag is brand new, unworn, with original box label.